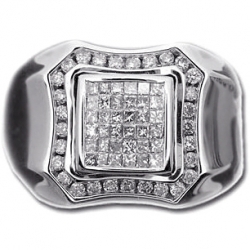 The lustrous sheen and rich colors of this glistening ring represents a tasteful elegance! 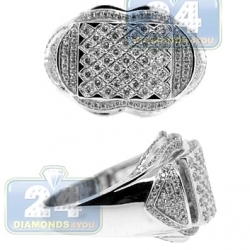 Our impressive design features high polished 14k white gold setting expertly handset with white and yellow round cut diamonds in the center. 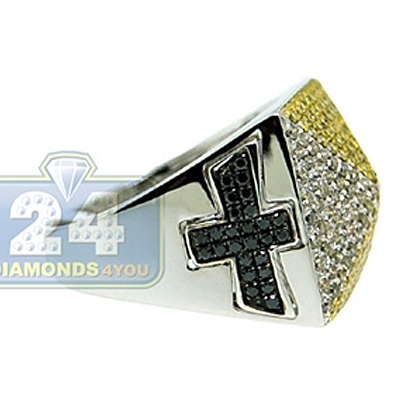 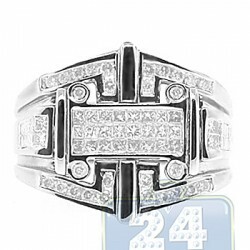 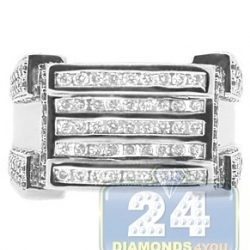 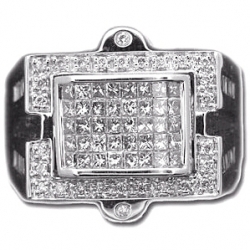 Stylish black diamond crosses are accenting the ring on both sides of the band. 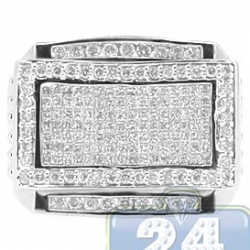 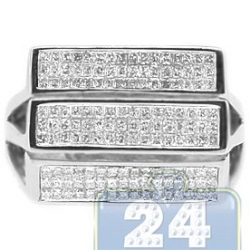 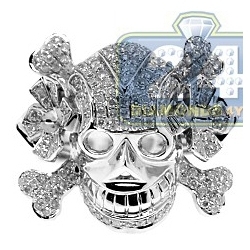 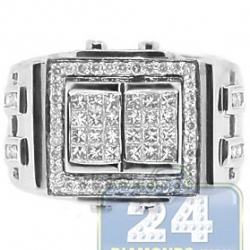 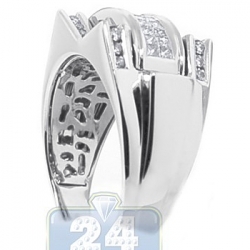 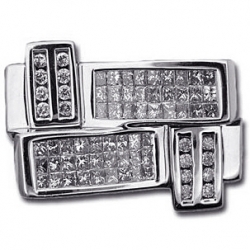 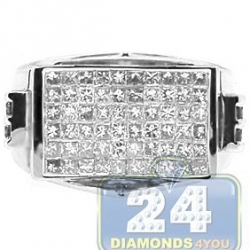 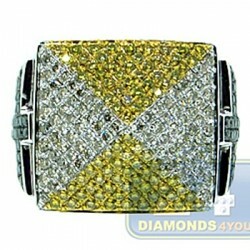 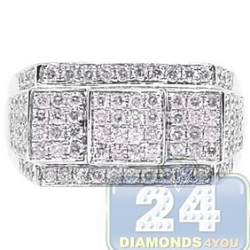 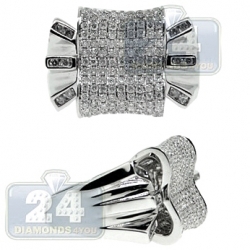 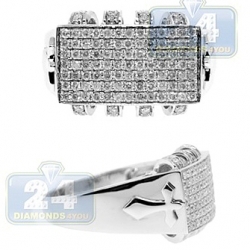 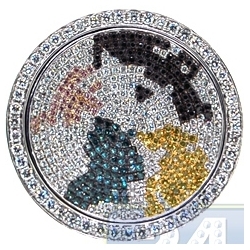 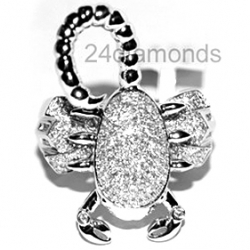 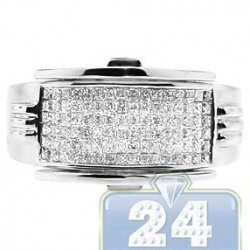 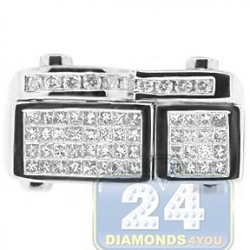 All precious stones are totaling 2.02 carat. 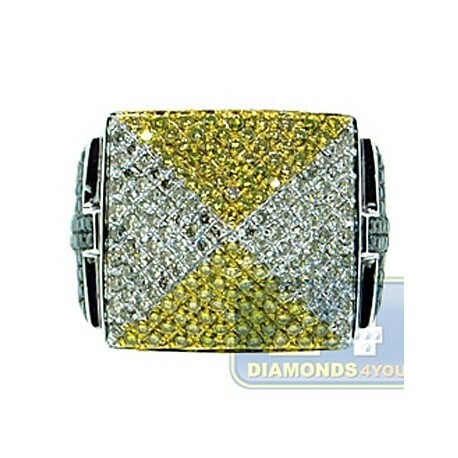 What a real sophistication to adorn your outfits for the years to come!